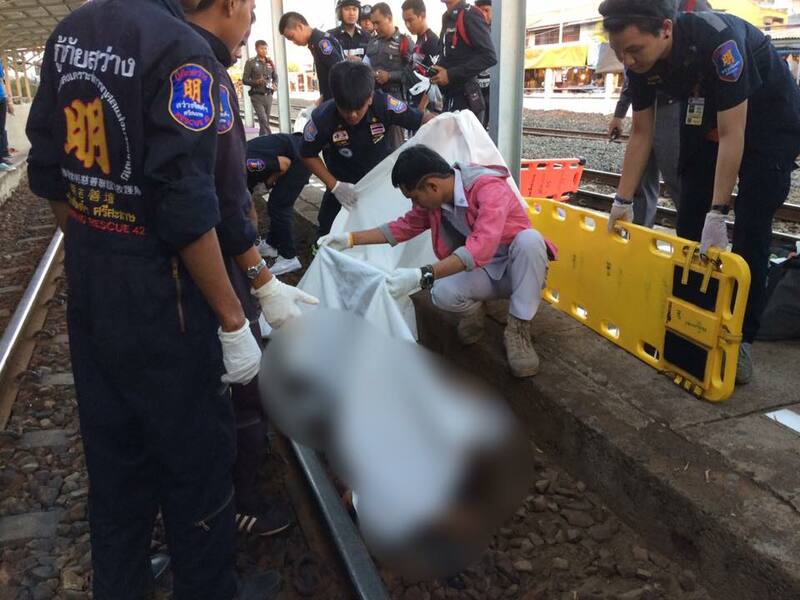 A 19-year-old Thai guy fell off the train today at 5: 32 pm when plenty of people were waiting at the platform at the train station in Sisaket and witnessed his death. It seems that he was standing at the door to have a cigarette, fell down and broke his neck in front of quite a lot of people. RIP, young man. You went way too early. My apologies for the incorrect news. The guy was a 64-year-old man and the circumstances that led to his death seem to be a sort of mysterious. Police are investigating what exactly happened if it was an accident, or if somebody was somehow involved because the victim carried quite a lot of money. I make it 14,360 baht , still not a huge amount for anyone to carry especially if they're on holiday. The news came from a cop in the hood and I doubt that these people would make "things up." It later turned out that the poor guy had missed his destination and wanted to get off the already driving train. And unfortunately broke his neck by doing so. So no foul play involved. But one point is a little bit strange. 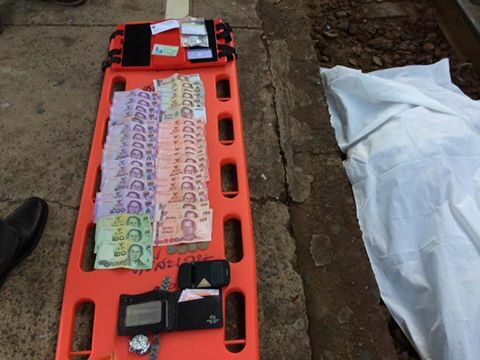 Why would somebody count the money after a guy passed away, lay it on the ground and shoot a photograph to show that on a few Thai websites? I think the money photo thing is just photographic evidence to confirm what was at the crime scene , Bro !!! !